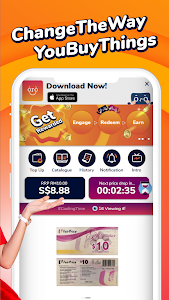 Introducing Doropu, a unique, one of a kind e-commerce platform in Malaysia that gives you the chance to purchase items at a significant discount or even RM0! And to sweeten the deal, we offer free shipping on every purchase! In Doropu, the price of our products will drop every second until all sold out. You don’t feel like paying a high price for the deal that you have been eyeing for over the months? Are you living on a budget and want to get every penny saved for every purchase you made? Should you wait until the last second to make a purchase in Doropu. Absolutely not! This is because we will credit the difference amount between your purchase price and the final price into your Doropu wallet! 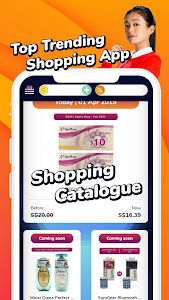 You can make your next purchase with this Doropu e-wallet credit. Prices are Dropping. Start buying. Start saving. Only at Doropu. Thank you for using our app! 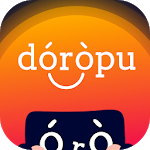 Enjoy and have fun with Doropu! Any question and concern please contact our friendly customer service by "live chat"
Similar to "Doropu - Price Drop Shopping & Instant Rebate"